Facebook founder and CEO Mark Zuckerberg penned a strong statement of support for the global Muslim community late on Wednesday. The statement was very likely prompted by Republican presidential candidate Donald Trump's recent and controversial call to bar Muslims from the United States, though the 31-year-old CEO does not mention the businessman by name. "I want to add my voice in support of Muslims in our community and around the world," Zuckerberg wrote on his official Facebook page. "After the Paris attacks and hate this week, I can only imagine the fear Muslims feel that they will be persecuted for the actions of others." "As a Jew," the Facebook CEO noted, "my parents taught me that we must stand up against attacks on all communities. Even if an attack isn't against you today, in time attacks on freedom for anyone will hurt everyone." 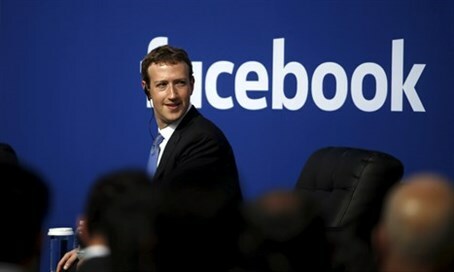 Personally addressing the greater Muslim community, Zuckerberg vowed that "as the leader of Facebook I want you to know that you are always welcome here and that we will fight to protect your rights and create a peaceful and safe environment for you." "Having a child has given us so much hope," he added, referring to the recent birth of his and wife Priscilla Chan's daughter, Maxima. "But the hate of some can make it easy to succumb to cynicism." "We must not lose hope. As long as we stand together and see the good in each other, we can build a better world for all people."